Landstown High School senior Mason Klingenberg sat in one of a row of chairs outside a classroom at Green Run High School (GRHS). A sign posted outside the closed door read “Mary Washington College.” He looked relatively calm, considering the life-changing decision that was about to occur. 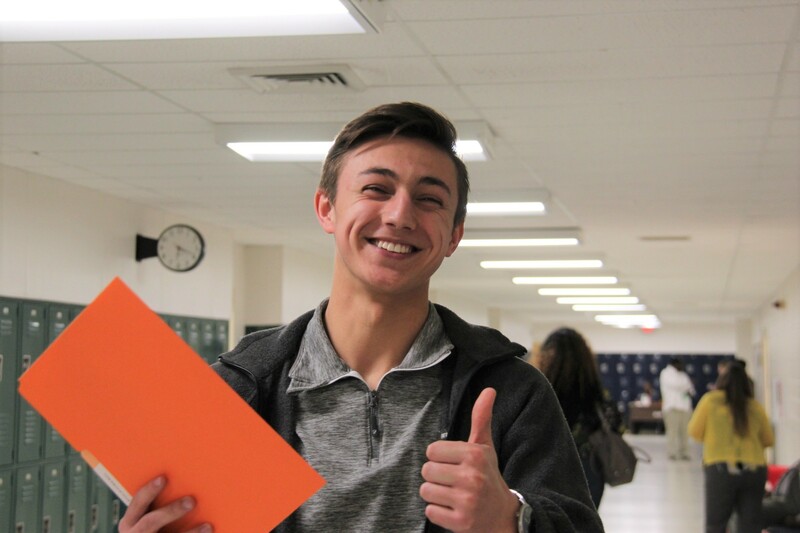 Klingenberg and more than 100 other students came to GRHS on a school night to consider their post-graduation options. In keeping with its mission to prepare students for college and careers, Virginia Beach City Public Schools (VBCPS) hosted it’s first-ever, on-site admissions and career program Feb. 6. Robert Jamison is coordinator of the office of student support services. “We really wanted to have the opportunity for students, who could have been a little bit delayed in what they wanted to do, when it came to applying to two and four year colleges, to have another chance,” he explained. 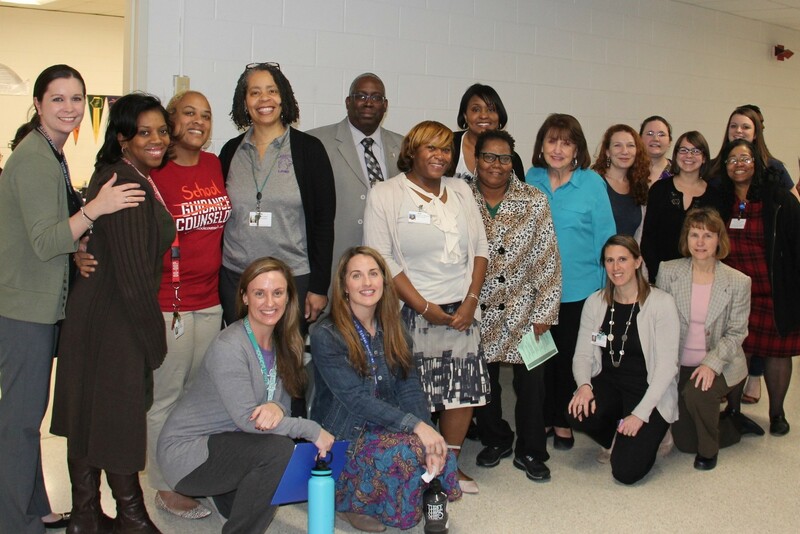 The event also marked the halfway point of National School Counseling Week, with 36 VBCPS middle and high school counselors on hand to encourage and help students throughout the evening. Fourteen four-year colleges from Virginia and Maryland participated and waived application fees, and while most required applicants to submit materials prior to the event, a couple allowed students to apply on the spot. College admission representatives were set up in individual classrooms, and students waited their turn to be interviewed and, hopefully, accepted into a college of their choice. Keara Nichols from Salem High School was one of the first to go bounding down the hallway. 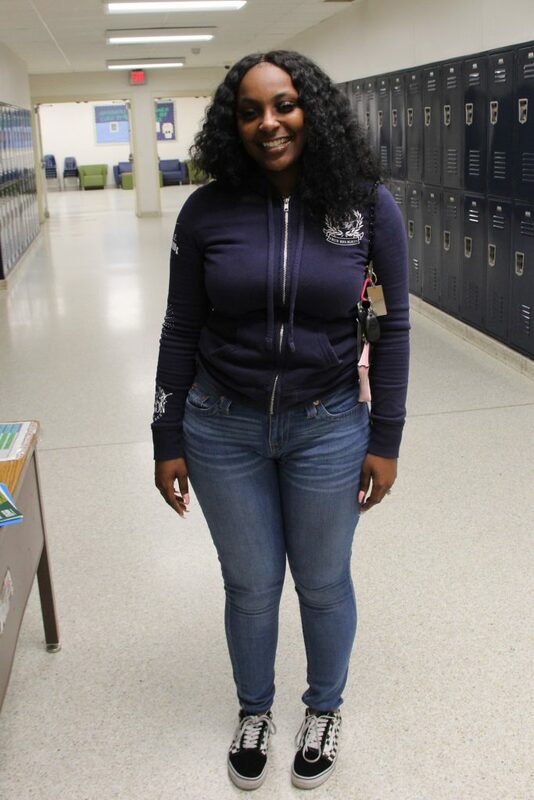 “I got accepted to Norfolk State!” She said it was her first and only choice. According to Amanda Yoder, military-connected school counselor for the office of student support services, about 75 percent of the students who came for the on-site admissions were accepted into a college or university, and some were also offered scholarships. For those who were not, Tidewater Community College (TCC) was there to provide enrollment assistance and information about apprenticeship partnerships with Newport News Shipyard, BAE Systems and ColonialWeb. Yoder said many of the parents and students were excited to be able to work with TCC and have that backup plan. Also on hand were military recruiters, Virginia Beach Parks and Recreation and other employers with opportunities for those students who were seeking work after graduation. Yoder said the evening was such a success, plans for next year are already underway and she hopes it will be even bigger and better. Let’s make this an annual event.